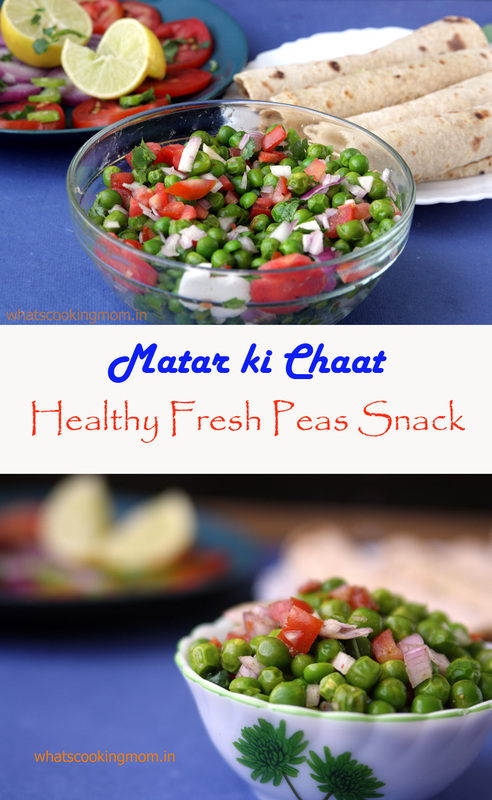 Matar ki chaat / fresh peas snack – Peas are in season and I am sure you must be using them in every way possible. 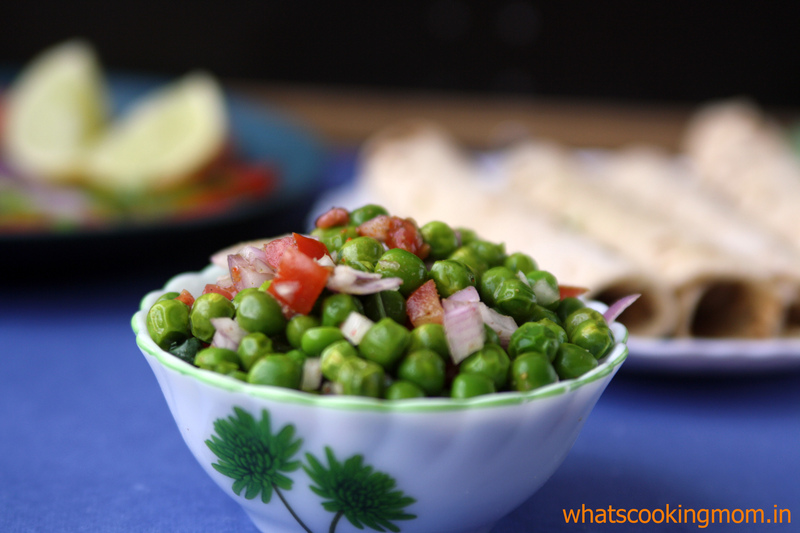 You can make aloo matar, matar paneer, samose mix vegetable, and baked vegetables. 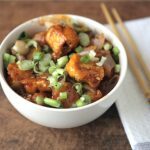 There are so many ways to use this wonderful vegetable. 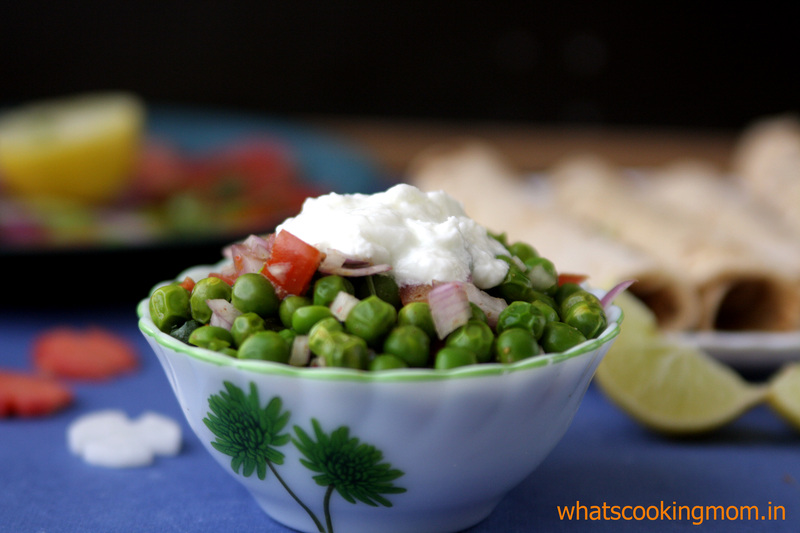 Today I am sharing with you yet another recipe involving peas Matar ki chaat / fresh peas snack. 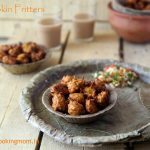 This is my mother in laws recipe and it is very delicious and healthy. 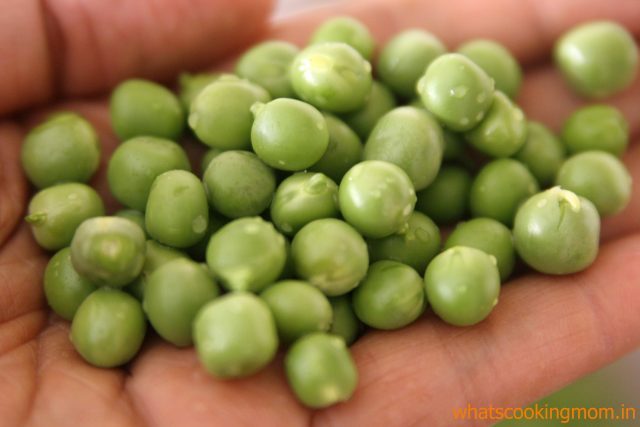 We try to buy freshest peas available. Still, we get some peas which are not very soft and we do not want to add them with the rest of the peas. When we remove peas from the pods we separate these peas and use these to make this Matar ki chaat / fresh peas snack. As these are not very soft these retain their shape after cooking. Kids exams are approaching and with all the studying and talking involved it is not surprising that my kids (me too) feel hungry all the time. This is a perfect snack for times like these. 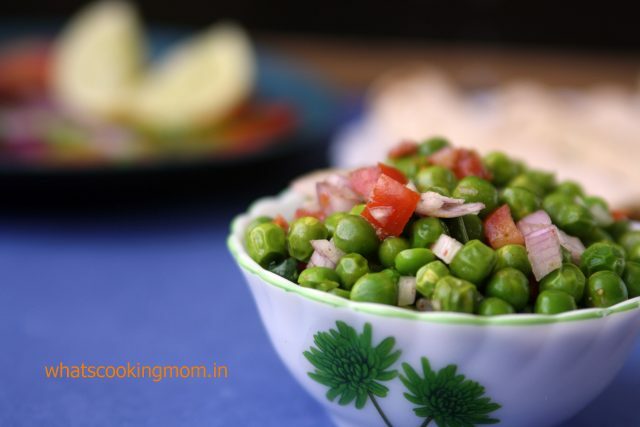 You can also pack this in kid’s lunch box with paranthas or bread slices. 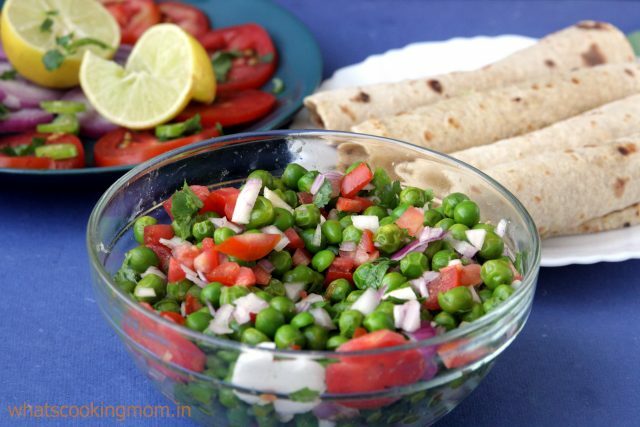 You can add any vegetables of your choice as a salad to it to make it healthier. 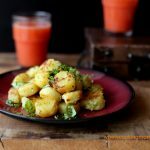 You can add curd, green chutney or sauce to it. Heat oil in a pressure cooker. Add turmeric powder and salt. Immediately add peas. 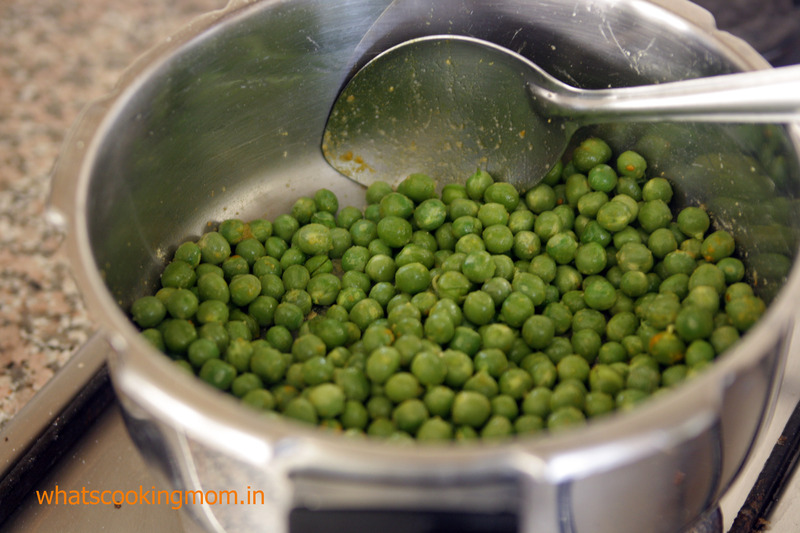 Add minimum water needed for the whistle as per your pressure cookers instructions. Close the lid. Switch off the flame immediately on the first whistle. Open the cooker after the steam escapes. 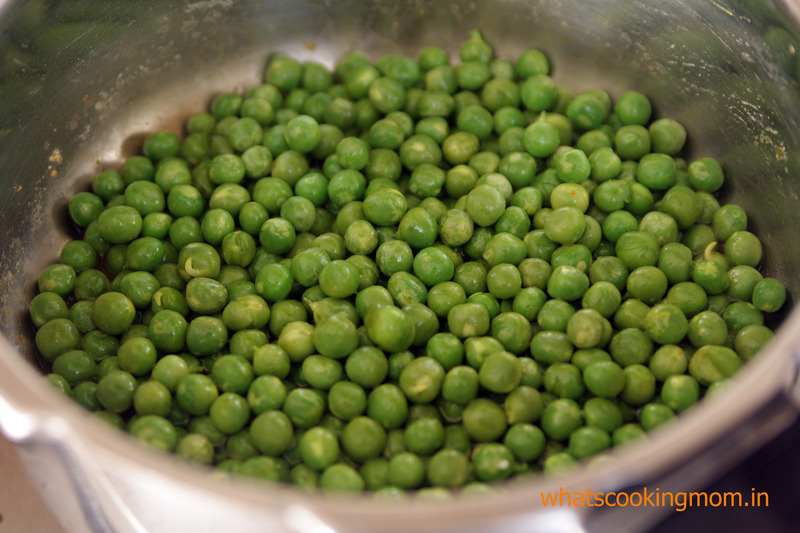 Or you can cook peas in a pan too with a closed lid but that will take a little longer to cook. There will be some water in the peas. Drain the water. You can use this water for making dough or in soups. 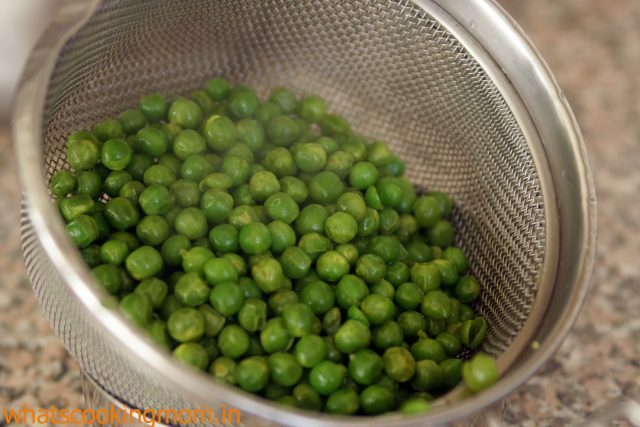 Let the peas stand in the strainer for some time. Add everything for salad in a bowl. 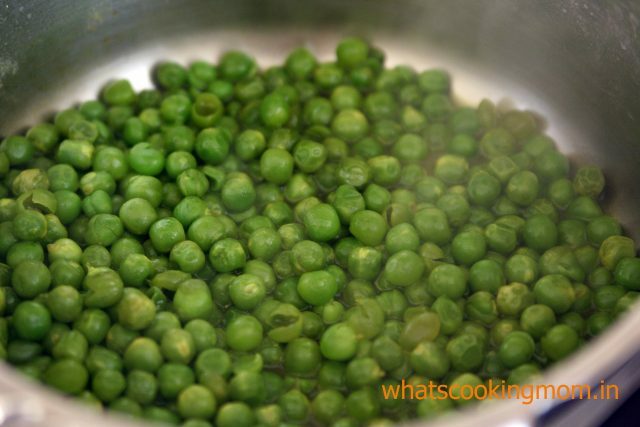 Add peas to it. Mix it properly. 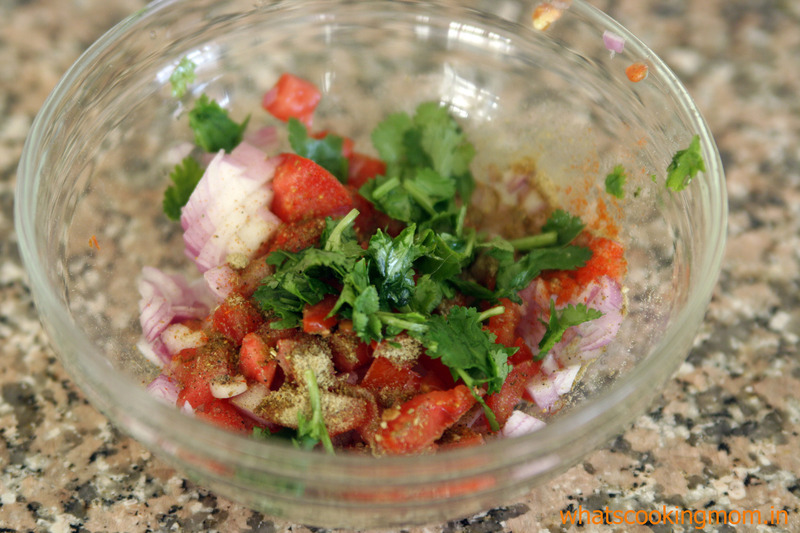 You can have this chaat as it is or serve it with roti, parantha or bread slices. 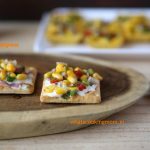 or you can serve these with biscuits as canapes.